As these things go, you might want to make your decision quickly on this. A new deal has surfaced and it is a great one! 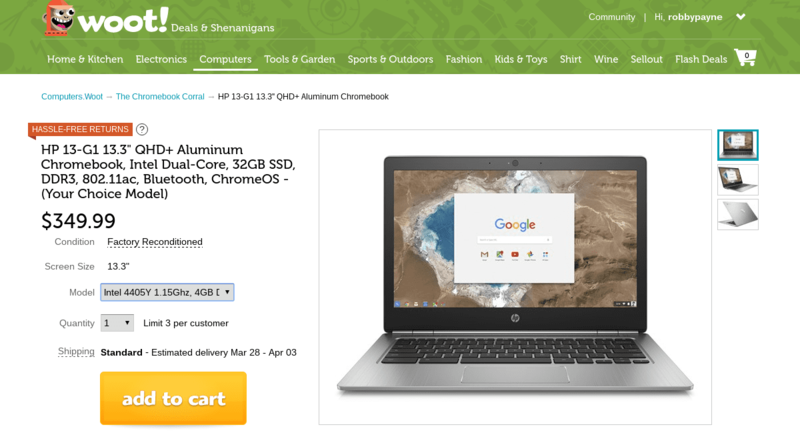 +Brent Sullivan has unearthed a massive discount on refurbished HP Chromebook 13 G1’s and 3 models are on offer. For reference, the Pentium model usually retails for $499 and the m5 version runs somewhere near $800. These devices are slim, fast, light and have one of the best screens you can buy in a Chromebook. Feel free to check out our full review here, but know that these deals are far to good to last long. This is from WOOT!, after all, so they will go quick. 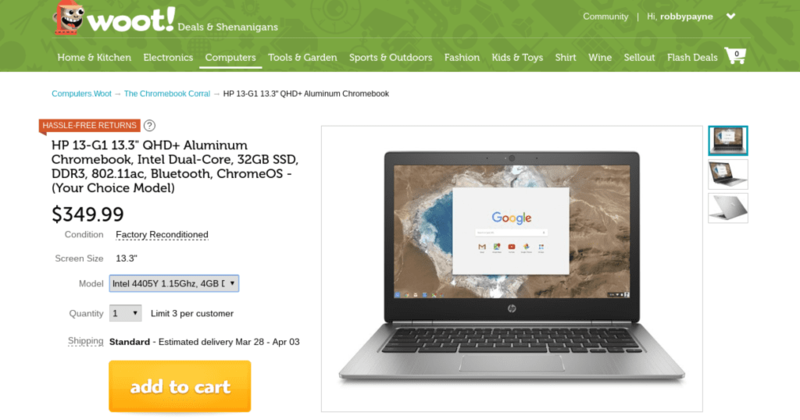 HP Chromebook 13 G1 on WOOT!